Our Triple Dog Gauge Tuner (or GT) for gas vehicles is one of our top-selling products - and for good reason. The Triple Dog GT is four products in one remarkable unit: a vehicle engine tuner, monitor, gauge, and diagnostic device all in a single unit. 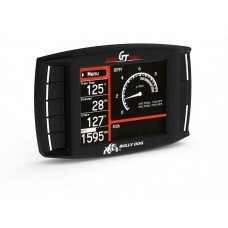 The remarkable GT transforms the utility of your vehicle by increasing horsepower, improving fuel economy, and providing a comprehensive set of monitoring features and diagnostic functions. Other tuning products don't hold a candle to the Triple Dog GT - it has the largest feature set and the widest range of vehicle applications from a single product. * Not legal for sale or use in California on pollution-controlled vehicles.